Polly A. Friedman started her own public relations firm in 1986. 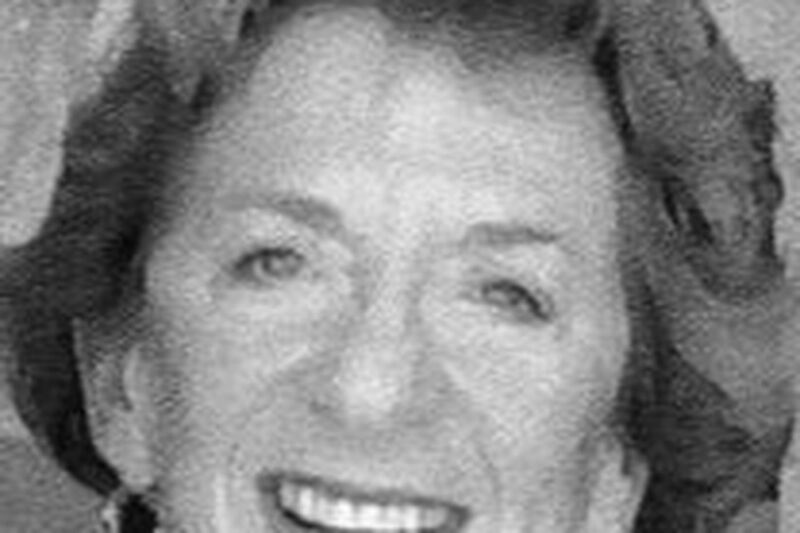 Pauline "Polly" Adler Friedman, 74, a former executive director of the National Constitution Center who used her talents as a career public-relations expert to give that institution a boost early in its history, died of breast cancer Monday at Foulkeways, a retirement community in Gwynedd. Mrs. Friedman headed the National Constitution Center, which was founded in 1987, from 1992 to 1994. The Center's primary mission was to build an institution on Independence Mall devoted to the Constitution. The Center opened on the Mall on July 4, 2003. During her tenure, Mrs. Friedman helped develop plans for the site, was involved in fund-raising, and launched programs that gave the Center visibility long before ground was broken. "Polly was one of the Constitution Center's early pioneers," said its president, Joseph M. Torsella. "It was under her leadership that the Center launched its first national initiative, Constitution Week. Her determination and vision provided the Center with invaluable leadership during its formative years." Mrs. Friedman's rise to public-relations executive was indirect, to say the least. A native of East Orange, N.J., the former Polly Adler attended Beaver College, now Arcadia University, for two years and afterward worked as a secretary. In 1954, she married Eugene Friedman, a manager for a clothing-manufacturer she had met on a blind date. They had two children, moved to Elkins Park, and Mrs. Friedman stayed home. Her professional career was launched in 1967, when she became editor of the newsletter for Congregation Rodeph Shalom in Elkins Park and Philadelphia. She parlayed that job into working in public relations for Albert Einstein Medical Center and for the Pennsylvania College of Optometry. In April 1979, she joined the big leagues when she became a media manager at Sun Oil. About six months later, the Iran hostage crisis broke, oil shocks followed, and the big companies were being blamed for increasing energy prices. Mrs. Friedman became Sun Oil's public face. "She wanted to show the public that Sunoco was not Darth Vader," her son, Robert, said. To address what she later wrote was "general mistrust" of oil companies, she built relationships with reporters and organized Sunoco-sponsored Super Senior Sundays on the Benjamin Franklin Parkway. The events, in 1979 and 1980, had food, entertainment, and free medical tests available for the public. At Super Senior Sunday in 1980, then-presidential candidate Ronald Reagan danced on the Parkway with his wife, Nancy. Mrs. Friedman was the person who went before cameras and spoke to reporters whenever there were oil spills and other problems. She left Sun Oil in 1986 to establish her own firm, Polly Friedman & Associates. By that time, she and her husband had moved to Lower Gwynedd, and she ran her business from their home. Her clients included the Philadelphia Orchestra; Venturi, Scott Brown and Associates, an award-winning architectural firm; and the Greater Philadelphia Economic Development Coalition. Her experience in crisis situations, her son said, led to later work as a media consultant for the Federal Emergency Management Agency. In 1995, she was a member of the FEMA public-affairs team assisting in the aftermath of the bombing of the federal building in Oklahoma City. In recent years, she had slowed down, but continued to do some consulting, her son said. She was a docent and served on the development and marketing committees of Morris Arboretum until becoming ill in September. In addition to her husband and son, Mrs. Friedman is survived by a daughter, Nancy Meagher; a brother; and three grandchildren. A memorial service will be held at 3 p.m. Friday at Morris Arboretum. Donations may be made to the Polly Friedman Fund at the Morris Arboretum, 100 E. Northwestern Ave., Philadelphia 19118. Contact Sally A. Downey at 215-854-2913 or sdowney@phillynews.com.